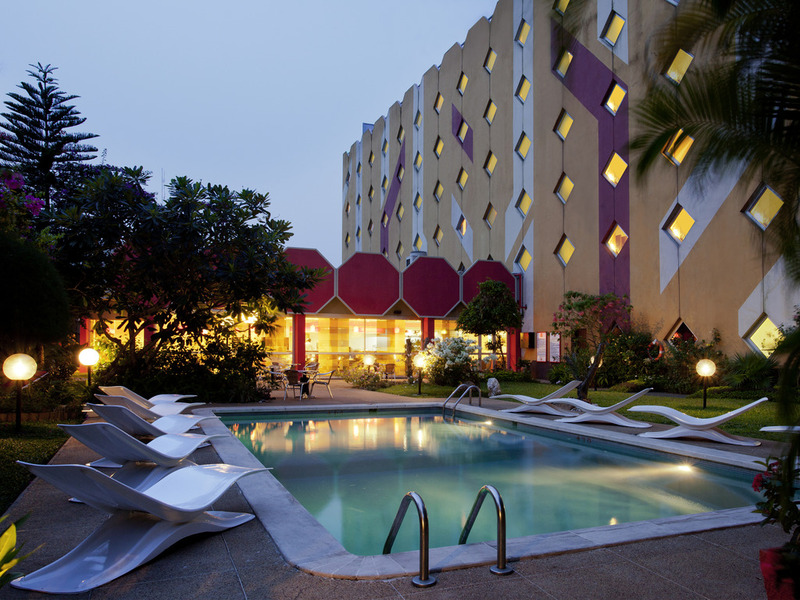 The ibis Abidjan Marcory hotel is located on Boulevard Giscard d'Estaing leading to the city center through the Marcory district. A free shuttle bus links the hotel with the airport 4.3 miles (7 km) away. The 135 rooms are air-conditioned for your comfort. Guests have access to free private outdoor parking, a bar with terrace open from 7am to 11pm, a restaurant and swimming pool to relax in. The 3 meeting rooms can be booked for seminars and conferences. Ideal for stopovers between plane journeys. Hotel completely backed up by electricity generators, with free exterior private parking, bar with terrace open 24 hours a day, restaurant and swimming pool. Dinner 18.30. Breakfast 9.15.